stylish messenger bag perfect for both women and men. 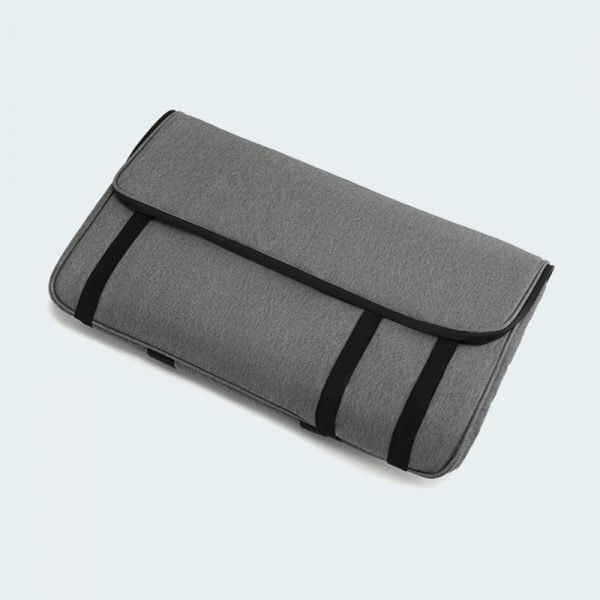 MULTIPLE POCKETS – Two front pockets and one back velcro pocket for quick-access,Big multicompartment enough to hold your laptops, iPad, kindle, books, files, A4 folders, wallet,clothes and more. 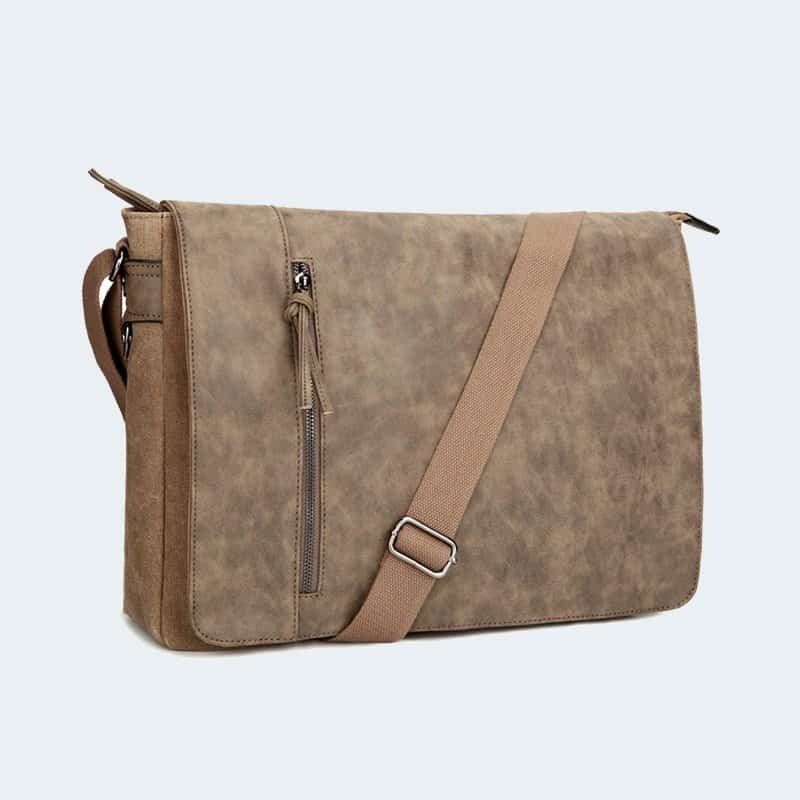 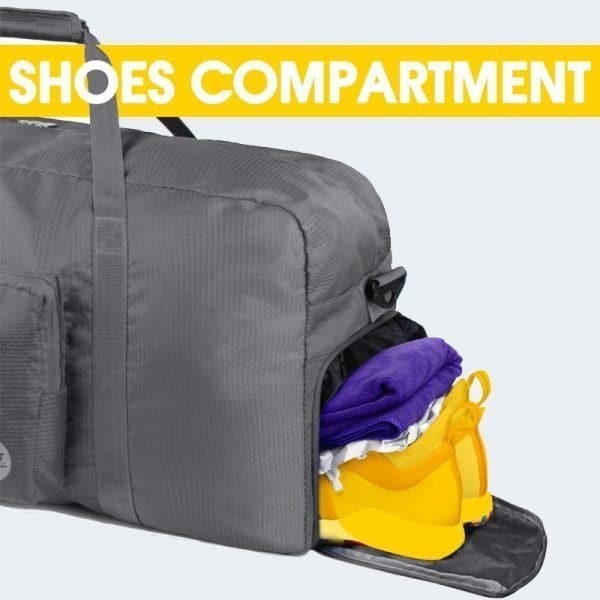 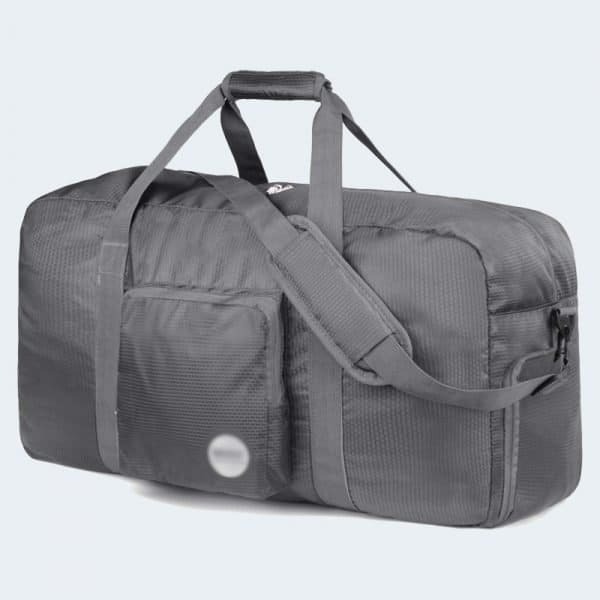 LARGE SIZE – The size of the bag is 15.8 x 12 x 4.8 inch,it could contain up to 16.5 inch laptop. 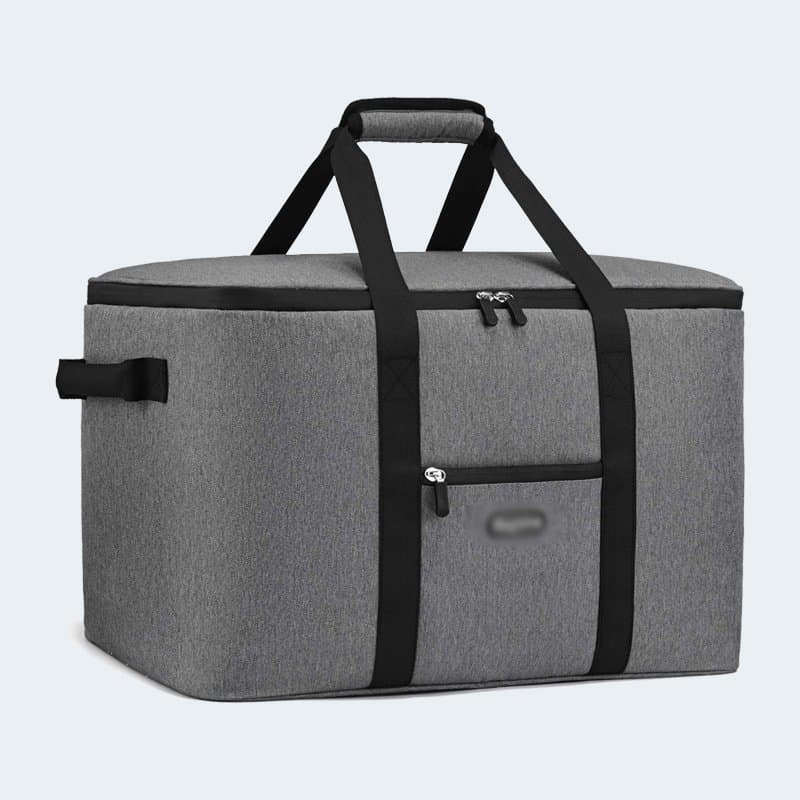 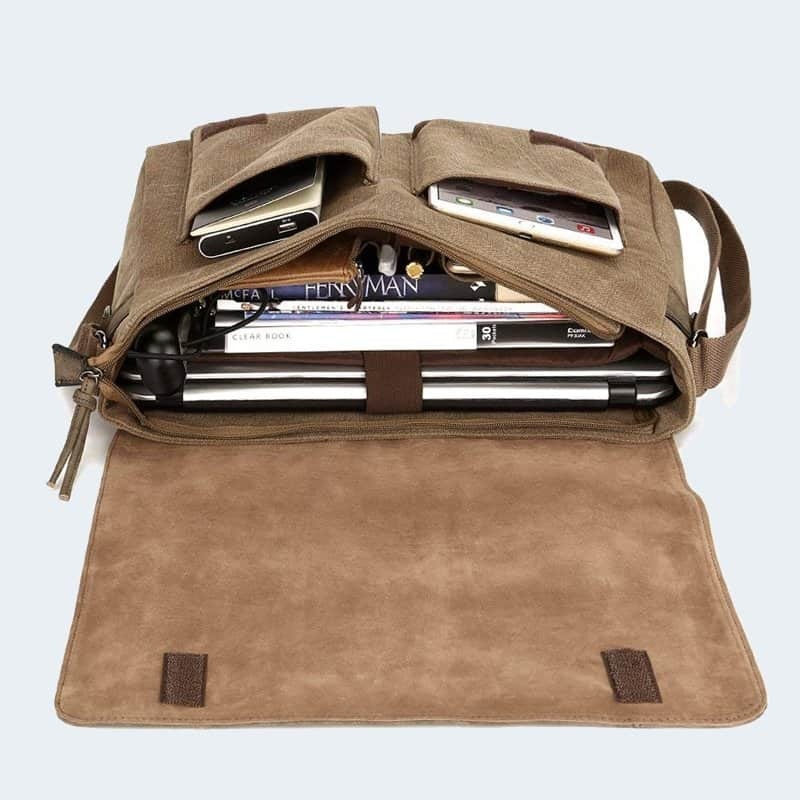 MATERIAL CONSTRUCTION – High quality durable and rugged wash canvas fabric,PU leather front cover bag and bottom ,Soft polyester lining , durable Velcro, laptop anti-shock compartment protect. 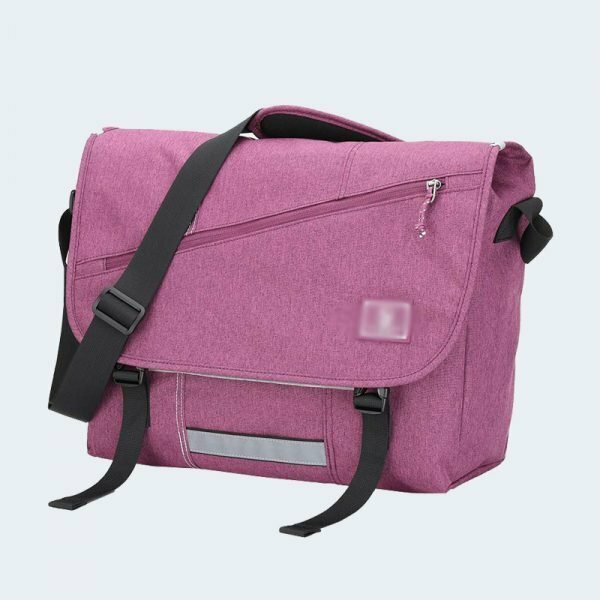 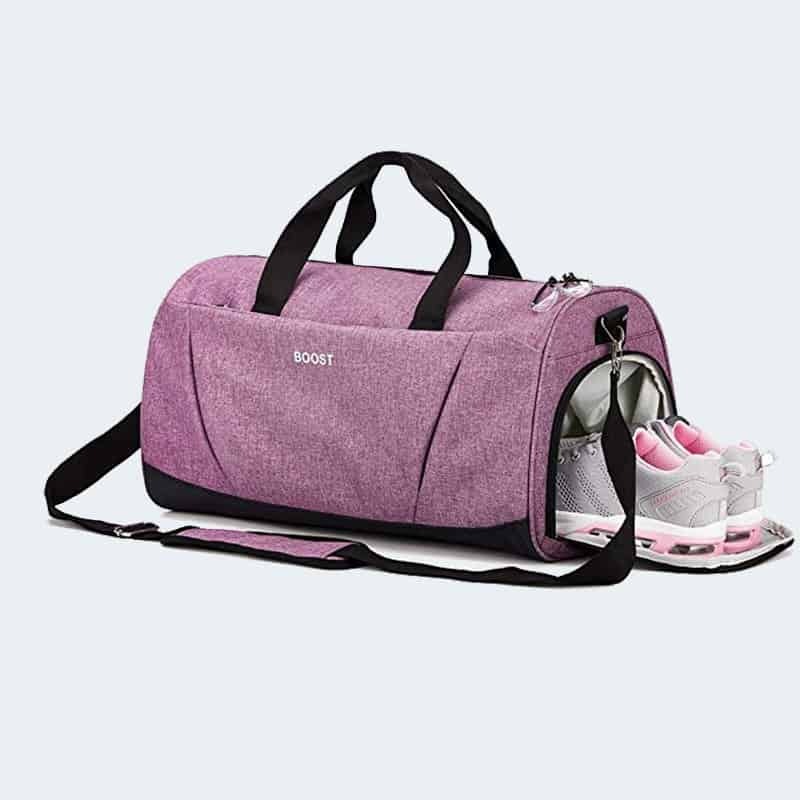 COMFORTABLE DESIGN – The messenger bag features a wide adjustable shoulder strap,it has 2 way to use,you could adjust length to meet your demand.